Are you tired of moving those old vinyl LPs and CDs around the house? WMPG can help. 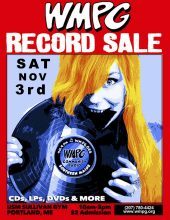 Tidy up your house and help WMPG at the same time. We are seeking donations for our annual 2018 sale! 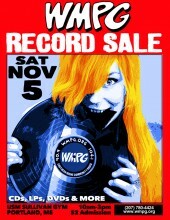 The sale happens the first Saturday in November. Just give us a call at (207) 780-4424 or e-mail stationmanager@wmpg.org. Our crack team of drivers will quickly arrive at your house to clean away all those old records that are taking up space! We will then give you a receipt which can be used for a tax deduction!